Be sure to check out the awesome artwork of tanglers from all around the world for this weeks challenge, too! Posted on 7. 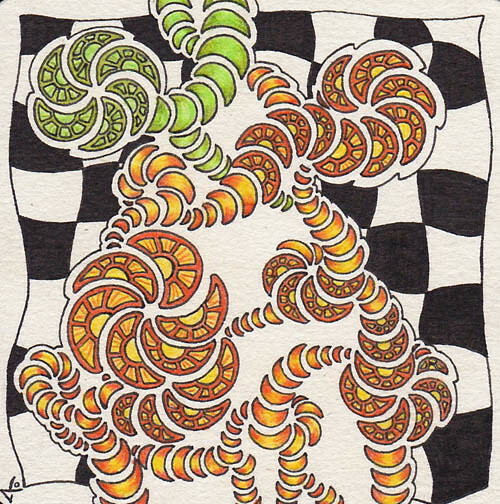 February 2016 by Yvonne LiPosted in challenge, Diva ChallengeTagged challenge, thediva, Zentangle-inspired-Art. Indeed like citrus fruit, lovely!!!! I really like this tile…it’s so bright and fun. It makes me smile to look at it. Oooo. Very pretty. Reminds me of orange and lime slices. What a wonderful idea. The Knightsbridge in the background makes the Molygon stand out like they are sitting on a table.